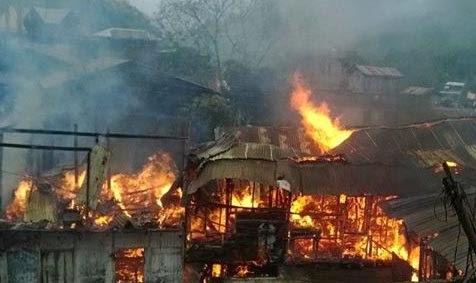 A massive fire broke out at Pulbazar , a place at a distance of around 30 km from Darjeeling. Four residential houses were caught by fire.The reason for the fire is still unknown.No casualties have been recorded till except few damaged private property. The fire was stopped by Bijanbari Fire Brigade with the help of local residents. The reason for the fire is still unknown.No casualties have been recorded till except few damaged private property.The fire extended from Bata Shop to Wallis line. The fire could not be stopped due to scarcity of water.